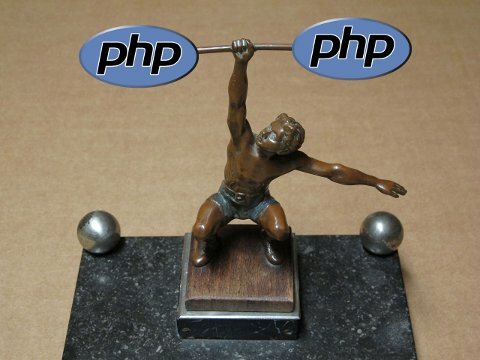 What is the PHP Zeitgeist 2013? What you can do with the PHP Zeitgeist rankings? For those not yet familiar, PHP Zeitgeist is an initiative organized by the PHP Classes site every year with the purpose to evaluate what are the most important new technologies PHP developers have been looking for. This is inspired on Google Zeitgeist initiative. Every year Google gathers lists of top search keywords that gained more relevance. Then they publish the top new keywords that became relevant in the year that passed. The PHP Zeitgeist initiative ranking is listed in its own page. It shows the ranking of the top 100 new keywords that became relevant. It also shows the keyword ranking in the form of tag cloud. There you can also look at the PHP Zeitgeist rankings of the previous years, all the way till the year 2000. It is very interesting to travel in time and see what PHP developers were more concerned in the past. The PHP Zeitgeist works in a similar way to Google Zeitgeist. It ranks all the searches done by the users of PHP Classes in the site and builds a ranking of the top 100 keywords that became relevant in 2013 which were not listed in the previous years editions of the PHP Zeitgeist. From January 1 to December 31 of 2013, it were done 487,589 searches. 48,777 were done by logged users. 246,248 were done by anonymous users. Just to put these numbers in perspective, since it was created the PHP Classes site accumulated 1,229,406 registered users. 84,520 new users registered last year. 174,411 logged in the same period. To make the analysis simpler, lets group some of the top keywords in groups related with the same topic and try to related with events that happened in 2013. This list is sorted approximately by order of frequency of the related keywords. Web site APIs seem to continue to be one of the most interesting topics searched by PHP developers. Several site APIs gained more interest this year like Stripe, Mega, Expedia, StopForumSpam, Twilio, Soundcloud, GitHub among others. API access protocols like OAuth and SAML also had very expressive interest. File formats also contined to have great interest, especially conversion between popular formats like Excel, PowerPoint, Word, PDF, CSV, XML, images, Autocad and Markdown. Database access API are always very interesting because practically all PHP applications use them. However, something different happened in 2013, specifically the deprecation of the original MySQL extension in PHP 5.5. This lead to a great interest in alternative APIs, specifically MySQLi and PDO. Microsoft SQL server API also had some interest. Twitter could have been included in the category of Web site APIs. However, after Twitter decided to stop serving RSS feeds of tweets of user timelines and search results, the search for alternative solutions using the Twitter API increased last year. PHP is mostly used as a language to run on the Web server side. This does not prevent enthusiasts to use PHP with specific hardware platforms and devices like Arduino, ONVIF and Mikrotik. Mobile continues to be a concern of many PHP developers. Last year they have looked for solutions for sending push notifications, making Web sites responsive, using devices like Kindle and accessing platforms like Google Play. Getting ranked on search engines like Google was also one of the top concerns of PHP developers. They looked for SEO solutions, computing Web page heatmaps, getting the Google page rank and search keyword positions. Frameworks are always a hot topic in the PHP community. Last year PHP developers gained more interest in frameworks like Laravel, NodeJS and MVC frameworks in general. It is curious that frameworks like Laravel had lots of developers searching for solutions in PHPClasses because, so far, there are not yet any classes here related with that framework, unlike others that are also well known in the PHP community. That seems to show that there is some unfulfilled demand that PHP developers are looking for in the PHPClasses site. Email solutions are one of the most searched topics by PHP developers. This year standards like DKIM, IMAP and solutions for storing email in databases gained more interest. Chat solutions always had some interest by PHP developers. Last year, solutions based on WebRTC and Websockets protocols started becoming more interesting. One of the goals of the PHP Zeitgeist initiative is to let developers know what are the most interesting new technologies PHP developers are concern now. If you were not sure what you should study now, the PHP Zeitgeist ranking should give you some ideas. Another less obvious purpose of this initiative is to help developers participating in the PHP Programming Innovation Award to get some ideas for innovative classes for purposes for which there are not yet any solutions in the site. So, if you are willing to participate in the Innovation Award to eventually earn prizes and recognition, you may want to take a closer look at the PHP Zeitgeist ranking to start getting some ideas for innovative classes. Try going to the PHP Zeitgeist page and click on the top keyword links there. If it leads to a search results page without any results, you may have found a good idea for creating and submitting an innovative class. Other than that, there will be a big announcement regarding the Innovation Award soon. Keep watching the PHP Classes blog to know what is coming. The PHP Zeitgeist initiative seems to continue to reveal interesting facts about the PHP community interests, year after year. This year it was no different. Lets see what it reserves us next year.